Omnicare is a nursing home and pharmaceutical services company that made nearly $60 million in profits last year, up from $31 million the year before. From the perspective of everyday people, corporations like Omnicare can seem untouchable. That might have been how whistleblower Donald Gale, a former employee, felt after filing a complaint against Omnicare in 2010. In the end though, Gale persevered and won his case. Omnicare said today in a regulatory filing that they have agreed in principle to pay $120 million to settle Gale’s claims. Gale himself will receive many millions of dollars from the settlement. Donald Gale, a former Omnicare pharmacist, claimed that the company paid kickbacks to nursing homes using a scheme known as “swapping.” In this scheme, Omnicare would offer large prescription drug discounts to nursing homes with Medicare Part A inpatients. Medicare pays nursing homes a flat fee for Medicare Part A inpatients and Gale claims that the discount pricing that Omnicare offered nursing homes was far below fair-market value. Omnicare did this as a way of enticing the nursing homes to refer or “swap” their inpatients that were not Medicare Part A (mostly those that were in the Medicare Part D prescription drug program). Omnicare would then bill these Part D patients at full price for prescription drugs or any other pharmacy services. These “swaps” are in direct violation of the Medicare Anti-Kickback Statute and the False Claims Act. As the general manager of a Wadsworth, Ohio Omnicare pharmacy between 1993 and 2010, Gale had first-hand knowledge of this alleged fraud. After his case was unsealed in 2011, it wasn’t certain that Gale would prevail. The U.S. Department of Justice did not join Gale’s case, which can sometimes suggest that the claims are simply not strong enough for a favorable outcome. Although his case was fiercely contested by Omnicare for nearly two years, Gale won and he will receive a whistleblower’s reward of between 25 and 30 percent of the total money paid by Omnicare to settle his case. This is not the first time Omnicare has been accused of kickback violations. According to Bloomberg, Omnicare paid nearly $100 million in 2009 to settle similar claims that they paid out kickbacks to nursing homes in order to get patient referrals. This entry was posted in Healthcare Fraud on October 23, 2013 by Mark Schlein. The Peterson’s story, though tragic, isn’t unique. According to last month’s investigative report by Bloomberg, coronary stents have been used on an estimated 7 million Americans within the last ten years at a cost of more than $110 billion. Coronary stents are small metal-mesh tubes that are used to improve blood flow in weak or narrow arteries. In the aftermath of a heart attack, stents are effective at restoring healthy blood flow. However, stent use in the aftermath of a heart attack or other acute cases account for only half of the 700,000 annual stent procedures in the U.S. It begs the question: why are the other stent procedures being done each year and are they medically necessary? According to various court documents and regulatory filings, it turns out that half of all stent surgeries performed in the U.S. are unnecessary and, in some cases, can cause serious complications or even death. The rise in stent procedures is directly linked to the way doctors are compensated. A cardiologist is typically paid less than $250 when consulting with a patient about alternatives to stenting. A stent procedure, on the other hand, could net that cardiologist $1000 or more, and the procedure takes only 45 minutes to complete. According to the Healthcare Blue Book, hospitals on average receive $25,000 per stent case from private insurance companies. 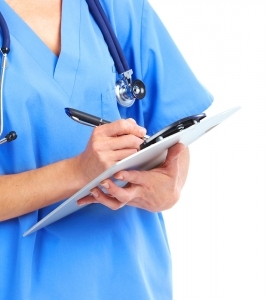 Government reimbursement rates to hospitals may be somewhat lower. Doctors who implant stents receive anywhere from $500 to $2,850 in fees from Medicare. “The interventional cardiology industry has a cash flow comparable to the GDP of many countries,” says Nortin Hadler, professor of medicine at the University of North Carolina at Chapel Hill. Clearly, cardiologists have financial incentive to perform stent procedures, even when alternative approaches are more appropriate. Cardiologist Julie Kovach saw first-hand what these unnecessary procedures can do. She blew the whistle against coworker Jashu Patel, an interventionalist out of Jackson, Michigan, claiming that he implanted stents needlessly in two patients. One of the patients, a woman, was hesitant about the procedure. She also underwent a stress test prior to the procedure, which showed normal blood flow. “It was appalling,” said Kovach. “Patel coerced her into getting a stent she didn’t need, which killed her.” According to a Justice Department investigation, Patel billed $2.7 million for stent procedures in 2007. Patel and his former employer, Allegiance Health, paid the government $4 million to settle the federal charges. Kovach received a whistle blower reward of $760,000 for exposing the fraud. This entry was posted in Healthcare Fraud on October 18, 2013 by Mark Schlein. Last week, the Securities and Exchange Commission (SEC) announced that they would pay an anonymous whistleblower a $14 million reward for providing the government with information that led to successful enforcement against an unnamed company. The reward amount is historic, as it is the most money that an SEC whistleblower has ever received. 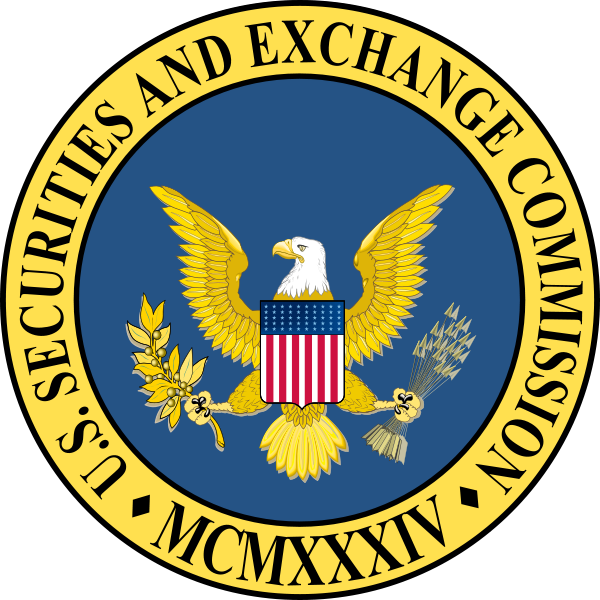 The SEC’s whistleblower program has led to enforcement action against a growing number of financial fraudsters, including a recent case involving a “sham hedge fund.” Whistleblowers in that case will receive rewards upwards of $125,000, and according to the government, these sums to whistleblowers will continue to trend upwards. “We have some very interesting ongoing investigations that, depending on how they play out, could, given our historical recovery in these kinds of cases, mean very big numbers,” says SEC Whistleblower Office Director Sean McKessy. It is important to note that the SEC whistleblower program is still in its infancy – it was only put into effect in 2011 as part of the 2010 Dodd-Frank bill. The fact that rewards are being handed out this quickly is good news for whistleblowers, particularly since complex SEC investigations can often take years to complete. The Commodity Futures Trading Commission (CFTC) was launched the same year as the SEC’s whistleblower program, and even though it has not received the same amount of whistleblower press as the SEC program, that may soon change. So far in 2013, the CFTC has received well over two times the amount of insider tips it received in 2012, and important cases against large banks like UBS and The Royal Bank of Scotland have also been boons to the program. The CFTC, which is not traditionally known as a Wall Street regulator, also appears to have a bright future. It is clear that both of these financial whistleblower programs will continue to grow as more whistleblowers seize the opportunity to expose fraud and earn large rewards for doing so. “I think [the SEC Whistleblower Office] should go on a massive public relations campaign to explain what they do and how whistleblowers can help,” says Stephen M. Kohn, executive director at the National Whistleblowers Center. As it turns out, the CFTC is doing exactly that, with plans to showcase the program at bar association and trade group gatherings this fall. This entry was posted in Whistleblower News on October 10, 2013 by Mark Schlein. The identity of a whistleblower usually becomes public at some point, but did you know that a whistleblower working with the Securities and Exchanges Commission (SEC) has the option of remaining anonymous? Such was the case with a recent anonymous whistleblower for the SEC, who will receive a record $14 million payout from the government. Officials with the SEC announced today that information provided to them by an anonymous whistleblower led to a successful enforcement action. The company and the nature of their crimes were not made public by the SEC because the whistleblower chose to remain anonymous. 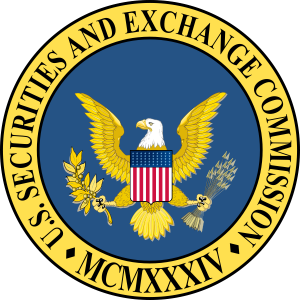 What is known is that the whistleblower’s information allowed the SEC to bring action against the company in question a mere six months after the initial tip. The whistleblower’s reward, which is a share of the money recovered from the company, was the highest payout since the SEC whistleblower program went into effect in 2011. If you are thinking of becoming an SEC whistleblower, it is important to remember that you can choose to remain anonymous throughout the process of your claim. This anonymity may provide more protection to the whistleblower and their family against any retaliation by the company in question. Remaining anonymous also shields the whistleblower and their family from media scrutiny in larger cases. If you wish to file your whistleblower claim anonymously, it is best to do so through an experienced whistleblower attorney. This entry was posted in Whistleblower News, Whistleblower Tips on October 1, 2013 by Mark Schlein.